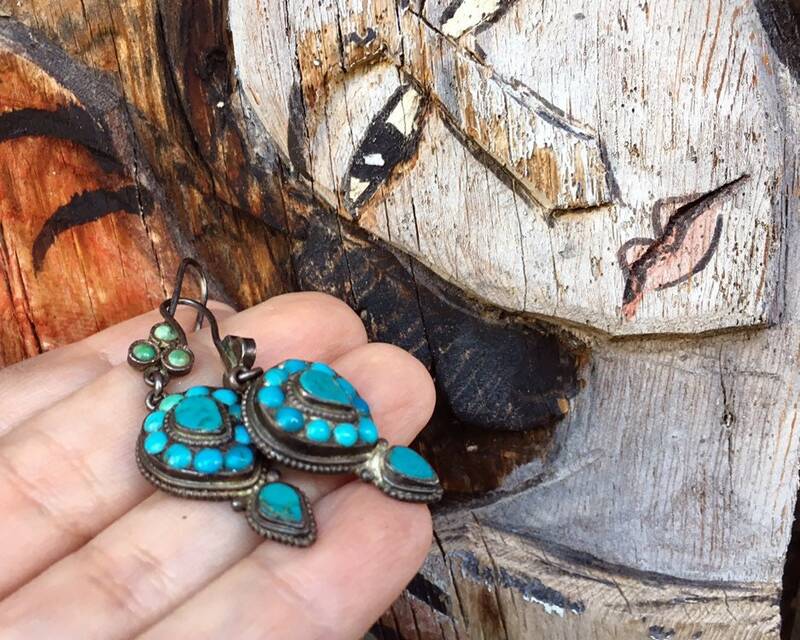 These are likely circa 1960s to 1970s Thai earrings, the silver dark from tarnish, made with turquoise cut into a mosaic pattern. 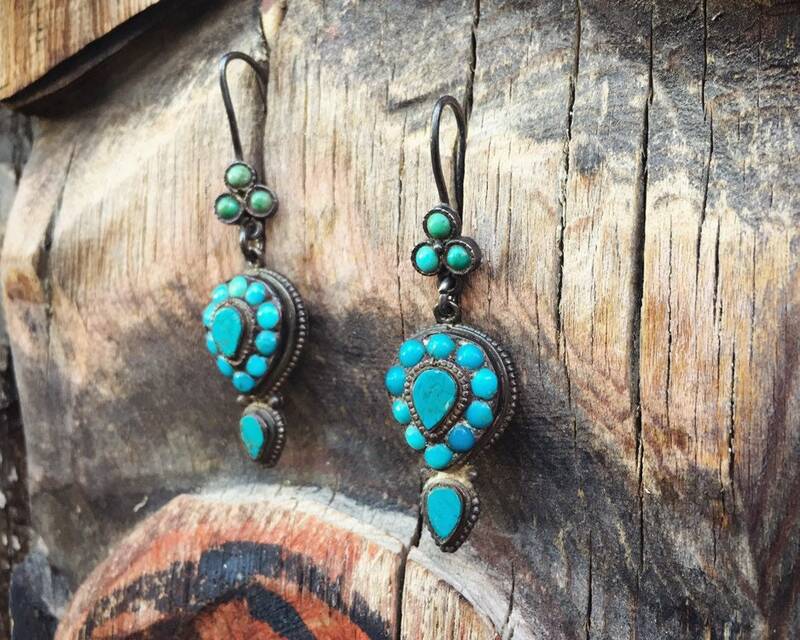 I love the different colors of turquoise. 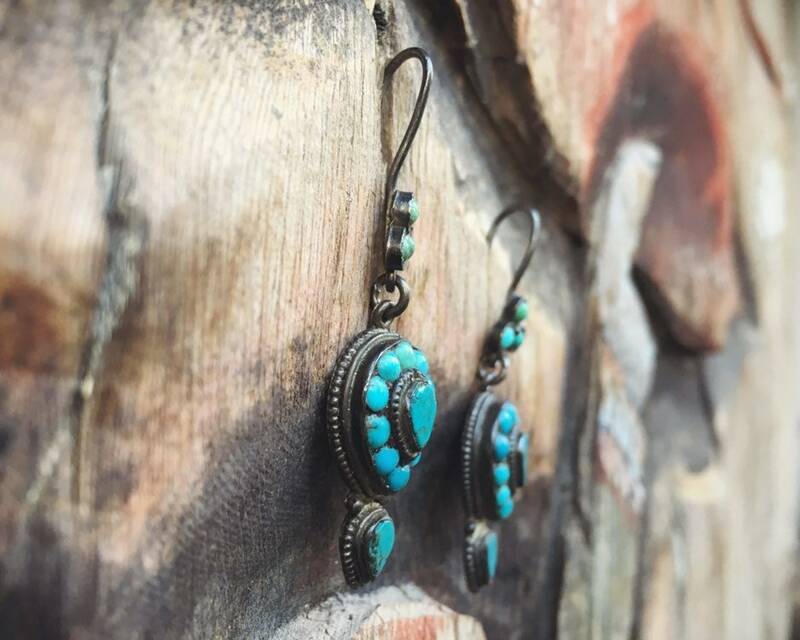 There are scratches from age, but that enhances their vintage look. I am happy to polish these a bit before sending if you wish, although I wanted to photograph with the tarnish as that really does show age. A great vintage boho look before the word "boho" even existed. 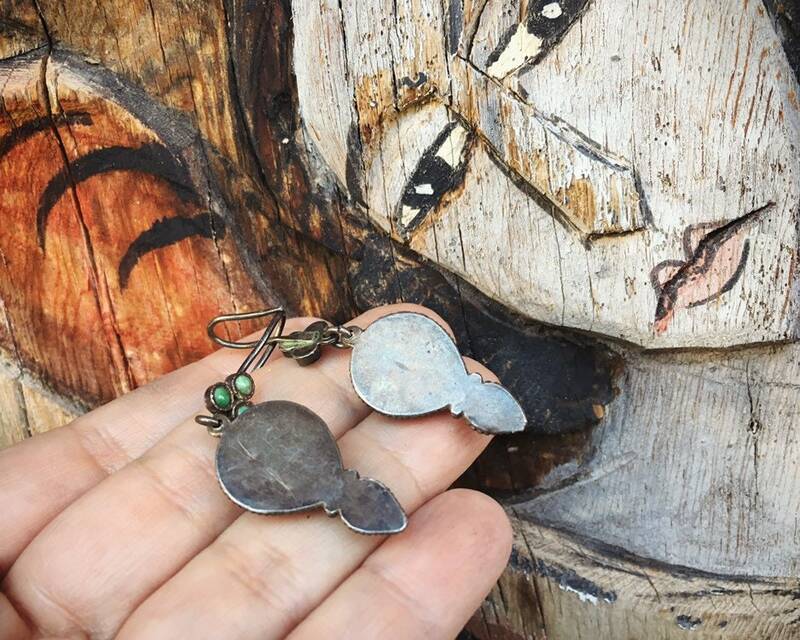 Each earring is about 5/8" wide by 1-1/2" long not including the ear wire and dangles to almost 2" long. 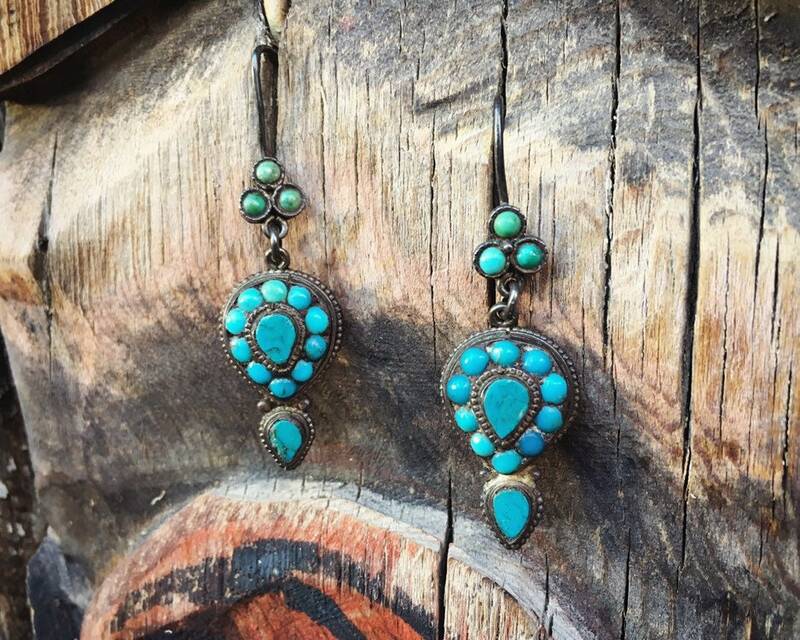 In addition to the scuffs on the turquoise, there are scratches on the back silver surface. 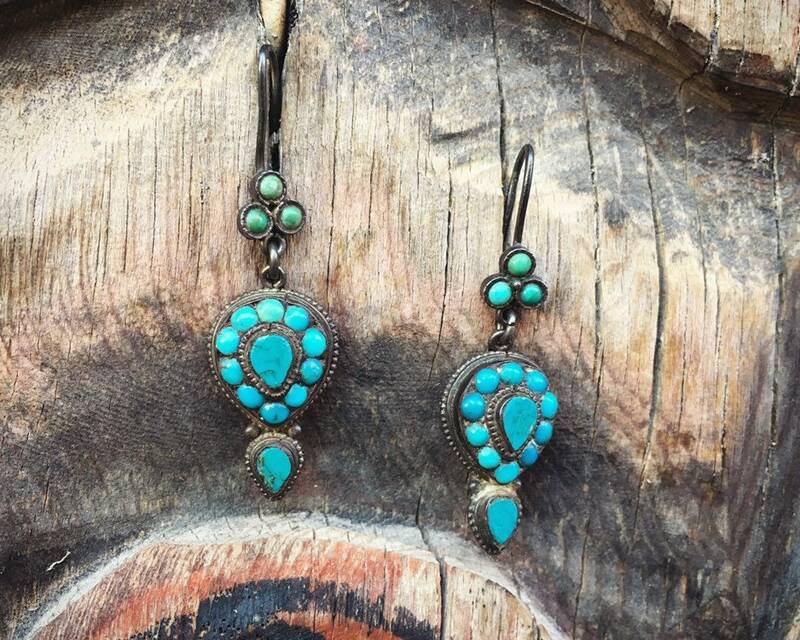 But the turquoise cabochons are well seated and in good condition.